Most of the agencies of the Maryland state government are required to provide a free interpreter for many languages. An interpreter will be a specially trained expert who can speak in your language and in English. When must state agencies provide you with an interpreter? If you have trouble speaking or understanding English and you need a service from an agency, most agencies must provide "oral language services". This means that the agency will provide an interpreter when you visit the agency's office. It also means that the agency will hire an interpreter who will be on the phone when you call for services. You are eligible for this type of help if all of the following are true. The law requiring interpretation covers the state agency or program. See below for a list of agencies that are covered by the law. There are many requests for help from people who also speak your language. The only way you will know if your language is covered is to make a request. You are unable to understand spoken or written English, or you are unable to speak or write English. How will interpretation be provided? There are many ways an agency can provide an interpreter. The choice of how the agency will handle your request is made by the agency. The agency may offer a staff interpreter, a bilingual staff person, use a special telephone interpretation service or the agency may hire an interpreter from a private interpretation programs. Most of the agencies of the Maryland state government are required to translate vital documents into many languages. When must state agencies provide you with translation? First, you must be in need of services from one of the state agencies required by the law to translate certain documents. Second, the documents produced by the state agency will be translated into your language if your language is spoken by 3% or more of the population served by the agency. Generally, this includes Spanish, Chinese and Korean. Ask for translation services, even if you speak another language. For example, you need help from the Office of the Attorney General. If your language is spoken by at least 3% the population that requests services from Office of the Attorney General, the agency is required to translate vital documents. 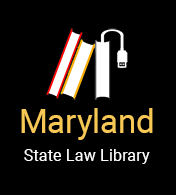 Will all Maryland government documents be translated? No. A document will only be translated if all three of the following statements are true. The state agency or program is required by law to translate documents. There are many requests for help from other people who speak your language. The only way you will know if your language is covered is to make a request. The document is a vital document." Vital documents usually includes applications for benefits or services, informational materials, notices and complaint forms that the agency or program. Must a government agency translate their website? The law does not specifically discuss websites. However, the law does require that vital documents be translated. If those vital documents are also posted on the website, there is a good chance that the translations are posted as well as the English versions. Look at the state agencies and programs listed below. If a state website includes your language, most likely you will see a link to that information at the bottom of the ageny's website. The following agencies and programs are required by law to provide interpretation and translation Services. Even if the agency or program is not listed below, it is still important to ask them for an interpreter. Your request will help the agency understand the need for an interpreter program. Additionally, the agency may be able to find an interpreter for you. However, there is no guarantee. Does this law apply to the Maryland Courts too? you do not speak English well enough to be understood by counsel, the court, and the jury. More information on translation services can be found at the District Court website in English and in Spanish. Although a few court staff may speak your language, each staff person can call a special telephone service that will provide an interpreter in your language. This interpreter will help you make your request to the court clerk. When you go to court, another interpreter will be present in person.